Food protection is an important aspect in regulating food safety from production, storage, processing & serving. Food handlers really need to understand this concept, so that the implementation of Food Safety could work well. 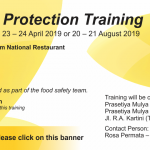 This ServSafe Food Protection Training is about how to provide safe food by analyzing & controlling critical points in the food flow starting from receiving, storing, preparing, cooking, and serving. 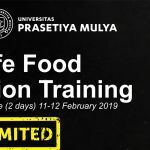 iCLEAN as a national brand in providing cleaning solution, in collaboration with Prasetiya Mulya University will hold a ServSafe Food Protection Training. 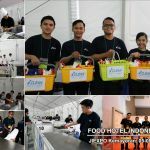 Jakarta April 5, 2017 – The 14th Food & Hotel Indonesia 2017 Exhibition was being the Jakarta International Expo on 5 to 8 April 2017. The exhibition was attended by 1,600 companies from 50 countries. The Food & Hotel Indonesia 2017 exhibition organizer, Wiwiek Roberto, expects the event to be a means to enhance the competitiveness of domestic companies specialized in the food processed, hotels, and retail industries. ICLEAN has been established since 2007. 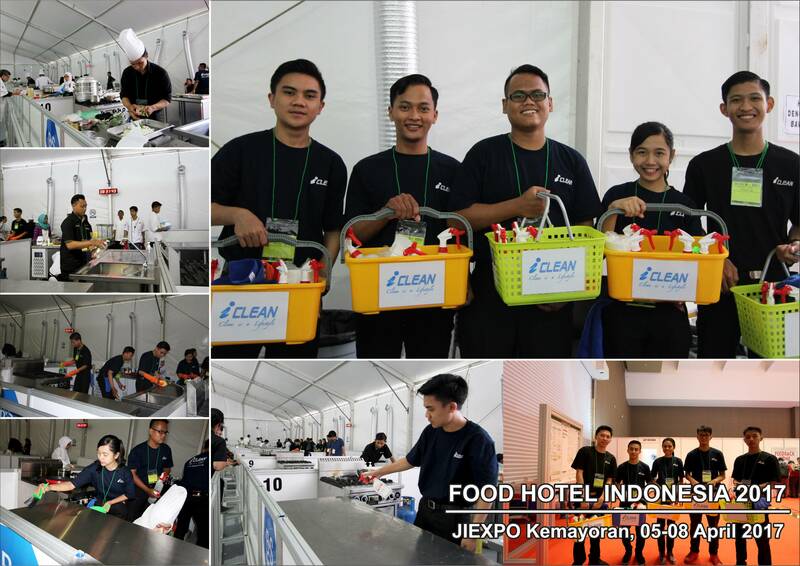 Over the past 10 years iCLEAN already has a distribution network in 25 big cities in Indonesia. This development is done to help iCLEAN supports is customer needs. 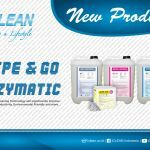 Currently iCLEAN produces more than 120 types of cleaning chemical products for hotel industry, food service, food and beverages industry, and medicare. Not only producing cleaning chemical, iCLEAN also provides education on how to do good and right cleaning activities to the customers. 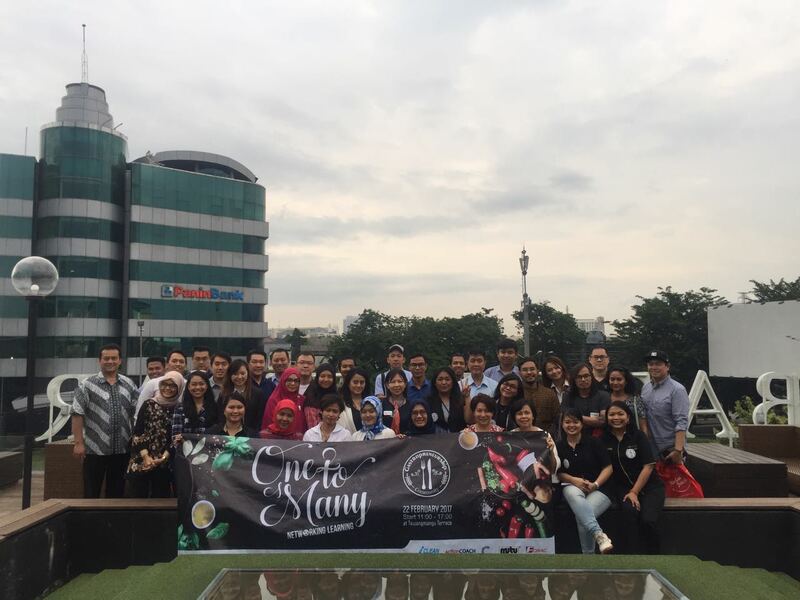 Gastropreneurship Community is a community that was formed with the aim of becoming a gathering and sharing of experience between entrepreneurs Café and Resto in Jakarta. Every two to three months, each member gathered to discuss a variety of interesting topics to help the development of café & resto business. Enjoy a cup of coffee or tea while relaxing is something that is difficult to deny pleasures. It was a moment of pleasant, until the time it is your turn to wash the cups in the kitchen. When too often we use to serve coffee or tea, will usually cause a dull brownish color on our favorite cups. You will find tea or coffee stains are difficult to remove. It becomes a sign of a very disturbing sight when drinking. Due to the nature of the tea and coffee that contain natural plant dyes that can leave dull stains on cups and glasses. Usually it appears the color changes we became aware after a week of continuous use. Suppose you are the owner of a restaurant of his that also sells tea and coffee. It must have been you will find your glasses and cups that started dull due to tea and coffee. ICLEAN provide a solution easily and maximum clean for a cup or glass of your coffee or tea stains. STAINAWAY, one solution for coffee or tea stains are stubborn. Chrome is a resilient material, but it does take some maintenance to keep it clean and shiny. Rust can form on chrome because tiny holes that are invisible to the naked eye develop over time. This exposes the material underneath to oxygen, and surface rust appears from the oxidation process. Other conditions that can keep chrome from looking its best include soap scum and mildew on bathroom fixtures and general dust and grime in any setting. Luckily, in most cases chrome can be kept clean, restored to its previous condition, and protected from further damage easily and inexpensively. Read on to find out how to clean chrome and remove rust without expensive cleaners. 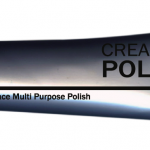 Use Cream Brilliance to guard the shiny of every chrome materials, the product is design to return the original shiny of chrome, copper and brass. By using regular periodically maintenance will renew any chrome, copper and brass. Baked-on food soil on Grill…? No more! New Year’s Eve is a profitable event for Restaurant, Cafe & Hotel because especially to foodies and travelers looking for a new atmosphere in the celebration with a partner, friends, family or business associates. Mostly Restaurant, Cafe & Hotel present a special New Year’s Eve to attract customers with a variety of unique theme and usually is less complete without servings of barbecue (BBQ). But after the party, the grill usually is baked-on food soil, impressed dirty and unhygienic. Some of these tips, frequently used by the Restaurant, Cafe & Hotel to clean a dirty grill and charred, namely: closing bars of the grill with aluminum foil with shiny side not on the outside. Then bake for 10-12 minutes. When aluminum foil is opened, you will see the dirt off and grill bars were clean then wash the grill with a powder cleanser. However, the results are often not optimal and the charred remains. ICLEAN give a solution in a minute, easy and maximum clean for all your cooking equipment that charred like grills, ovens, and fryers. GREEZAWAY, one solution for burning stubborn stains. Many people think that by freezing the food will kill bacteria, but there is a particular type of bacteria has the spores can survive even at minus temperatures below zero ° C.
Storage Area in the Refrigerator and Freezer Storage is used to prevent food from harmful temperature, the temperature where bacteria can breed very well at temperature of 41 ° F – 135 ° F (5 ° C – 57 ° C). Refrigerator Storage at cold temperatures is 41 ° F (5 ° C), as well as cold temperatures in the Freezer Storage which is 0 ° F (-18 ° C), will only slow growth of microorganisms. If storage is not handled properly then the bacteria that was created because of contamination of food, water, sewage, human and insects would have survived then causing food spoilage and disease that may not be eliminated by cooking processes. Some bacteria that have the spores are Salmonella spp, Staphylococcus aureus, Clostridium perfringens, and Bacillus cereus. The Internal temperature storage of the refrigerator should always be considered, in order to maintain the internal temperature of foods on specifically, refrigeration air temperature must be at least 2 ° F (1 ° C) lower than the desired temperature. For example, to maintain the internal temperature of poultry meat at 41 ° C (5 ° C), the air temperature in the refrigerator should be at least 39 ° C (4 ° C). At least once in each shift, staff should pay attention to the temperature to the Refrigerator and Freezer Storage, if there is no thermometer on the unit it is able to use a thermometer hanging in the hottest part of the refrigerator. There are different kinds of Cool Storage include: walk-in coolers / freezers, upright freezers, cool / fish box, ice cream counter, refrigerator for meat and vegetable. 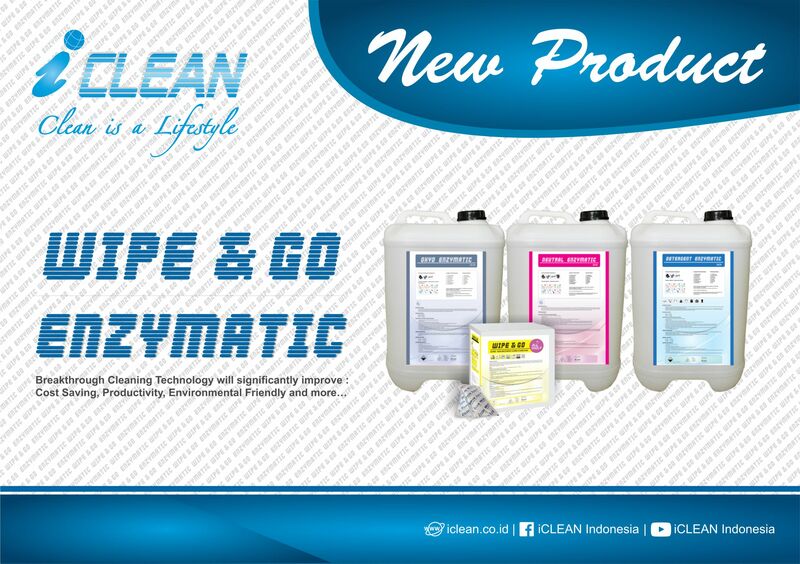 To maintain sanitation in sub-freezing environment ICLEAN presents COOL CLEAN as the first product in Indonesia NO RINSE, NO DIRT, NO SOIL FOOD, NO BLOOD, NO TIRE TREAD MARKS. Refrigerated Storage & Frozen Storage is familiar to be heard. Both of these food storage system is always needed especially in fast food industry as well as full service restaurant. 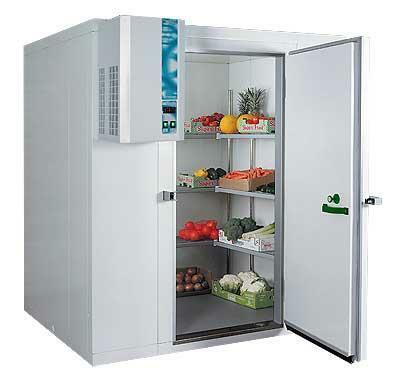 Similar but not the same in both these subfreezing environments, Refrigerated Storage at temperature of 5°C or lower can only slow the growth of microorganism. In addition to regularly monitor the temperature in the refrigerator, it is important not to place too much load, as it will prevent air circulation and makes the unit work harder. Cooked food and raw food should be separated. The same points should also be noted in Frozen Storage. However, be aware that the bacteria could still be alive again at a temperature that has been frozen. IClean presents COOL CLEAN, designed exclusively for use once the process of cleaning and sanitation in the area walk-in coolers / freezers, upright freezers, cool / fish box, ice cream counter, refrigerator for meat and vegetable, and other cold storage areas without having to turn off the freezer so that saving time. COOL CLEANeffectively cleans dirt like frozen food stains, blood, tire marks in the freezer and frost.